Every maker has a story. Be a part of Dean Warner Builder's story by placing an order, leaving a review, and seeing your review appear here. 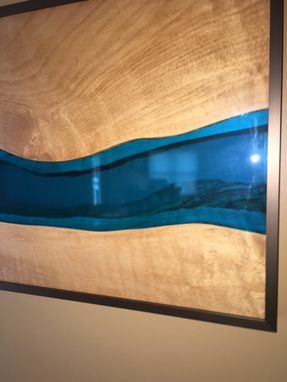 Live edge maple with river glass. 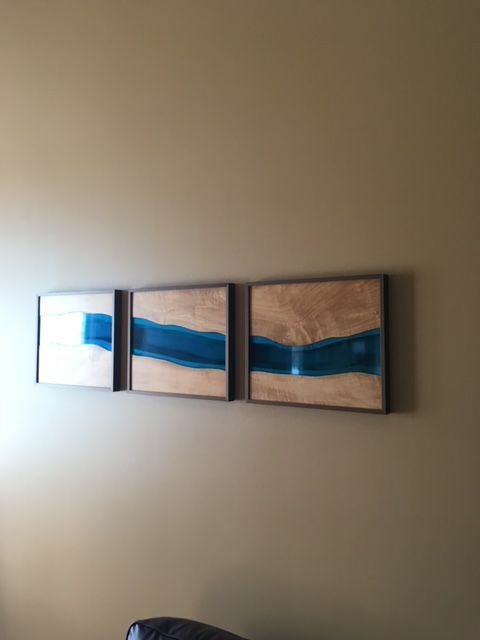 Each piece 14" x 17", Total 56" wide on the wall as displayed. Locate this one of a kind art on the wall in your home where it will catch direct light at some point during the day.